Market research is an extremely important piece of understanding the products that you are working on. Naturally, as with most things in product management, there are multiple ways of conducting market research. 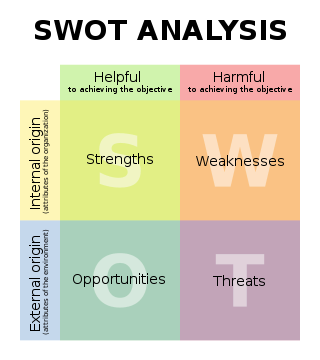 Some people do SWOT analysis, some people use porter's five forces, and others use their own method. The definition from wikipedia is "Market research is any organized effort to gather information about markets or customers. It is a very important component of business strategy." Shocking, this is fairly vague. This article from pragmatic marketing provides a good overview of some of the ways that you can do market research. I'll be applying pieces of this to my market research for the industry I'm in. A few graphics help to move this along... what do you all think about this? Is there a standard way to start market research? How helpful is it when releasing new products? Well, Google is an incredibly good starting point. I was researching medical implants (physical things like spinal immobilizers, plates, screws etc), and it pointed me to a lot of suppliers. That really helped me build a bottoms up market analysis. Of course, some industries are covered by Gartner or Forrester, or one of the AFH (analysts for hire). But I rarely break out the pocketbook for reports. Either I already know the punch line, or there is so much slop that it is worthless. Now putting that to paper, you have the right idea. If you are in a competitive market, you should be doing as much competitive intelligence gathering as you can. It is astounding how often I find people who dismiss this kind of grunt work. Then there is nothing at all like getting on the road and meeting with customers. Doing a formal Voice of the Customer exercise (read Edward MacQuarrie's excellent "Customer Visits". Use similar methods and do some win/loss analysis as well. Spend more time on the lost cases. You would be surprised how much they will tell you (be warned, Sales will likely have kittens when they learn that you want to meet their customers. On the theme of good books, Ed MacQuarrie has another one that is worth reading "Market Validation Toolbox". Quick overview of direct survey methods, and enough to whet the appetite. But really, there is nothing like complete immersion. Read EVERYTHING you can. Sign up for Google Alerts on competitors and technology names. Read SEC filings and listen to investor conference calls (it is amazing what some analysis will extract from C level execs). Thanks so much! I took your advice and implemented a few of these in the last few weeks (Google alerts, following others, reading various publications and reports). I'm looking forward to reading the books you suggested (Market Validation Toolbox, Customer Visits)! Immersion is a big one - and I certainly agree that complete immersion would be ideal. Over the next few weeks I'm going to focus on going to customers to see what they're doing and how they're doing it. I'll keep you posted!